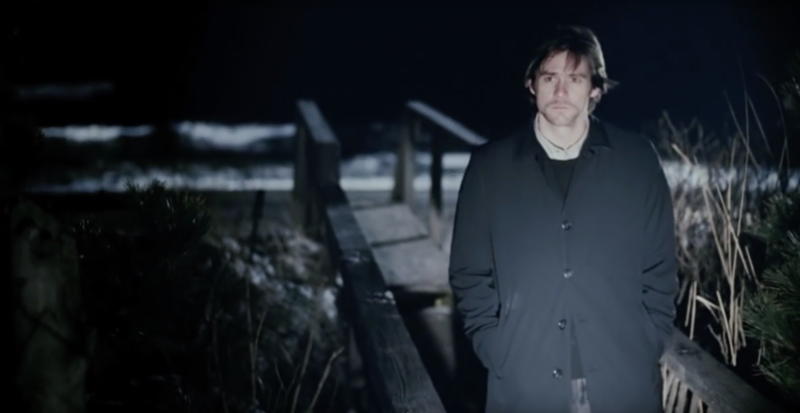 Eternal Sunshine of the Spotless Mind has earned a place in moviegoers’ hearts, not to mention plenty of “best movies of the 21st-century” lists. The mind-bending romantic dramedy with Jim Carrey and Kate Winslet is the perfect pairing of bizarre screenwriter Charlie Kaufman (Adaptation, Being John Malkovich) and whimsical French director Michel Gondry, whose unique vision would later be seen in The Science of Sleep and Be Kind Rewind. 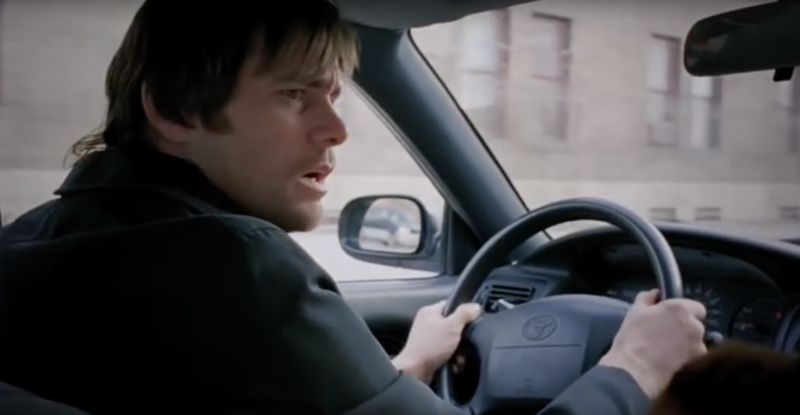 To enhance your next viewing of Eternal Sunshine of the Spotless Mind, here are some details you might not know, or that maybe you used to know before you paid someone to erase them. 1. YOU CAN THANK MOTHER NATURE FOR THAT CLASSIC SCENE ON THE FROZEN LAKE. The script called for snow and ice, but Gondry was prepared to omit such details if the weather didn’t cooperate. Luckily, New York State had a fierce winter that year, and the lake froze over as hoped. Carrey and Winslet lying next to a crack in the ice would become one of the film’s iconic images. 2. MICHEL GONDRY ENJOYS BEING FORCED TO IMPROVISE. 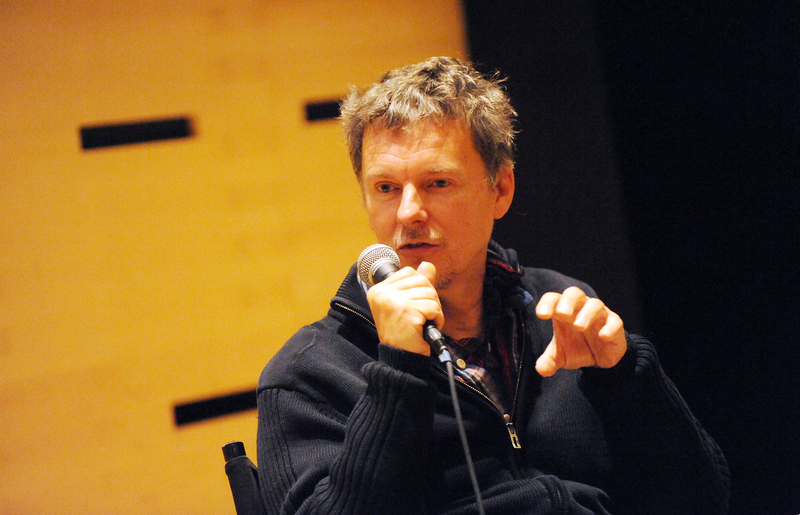 Unlike most filmmakers, who prefer to control every aspect of their films, Gondry likes it when unexpected problems such as weather issues force him to think on the fly. It keeps you on your toes, he says in the DVD commentary: “It makes everybody work faster, with more energy.” We’re guessing not everyone on the crew feels the same way. 3. THE IDEA CAME FROM A FRENCH ARTIST FRIEND OF GONDRY’S. Artist Pierre Bismuth is credited as a co-writer of the Eternal Sunshine story. Gondry explained in an interview that Bismuth “had the concept of sending a card to people mentioning they had been erased from the memory of someone they thought they knew. He wanted to study their reaction as part of an art experiment.” Bismuth eventually opted not to pursue the project, but Gondry liked the concept and enlisted the artist’s aid in developing a story around it, which Charlie Kaufman then turned into a script. 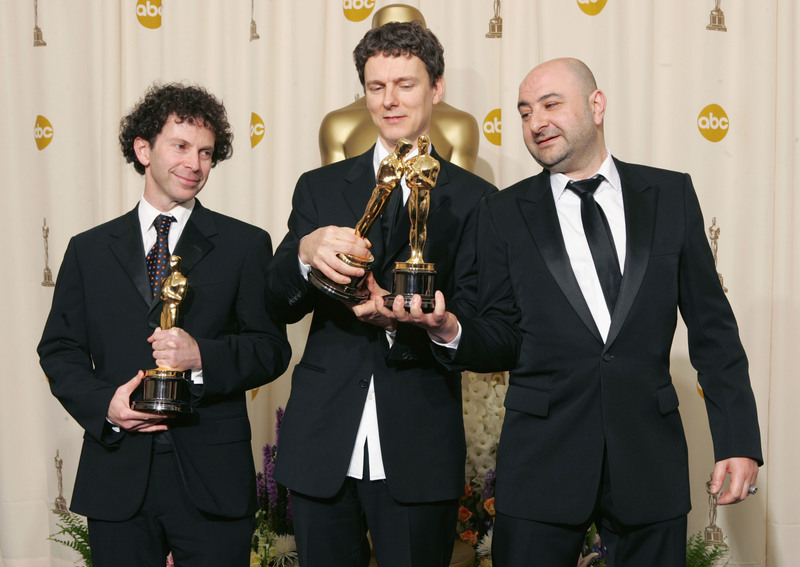 The three men were rewarded for their efforts with the 2005 Academy Award for Best Original Screenplay. 4. MOST OF THE VISUAL TRICKS WERE DONE THE OLD-FASHIONED WAY. There’s a scene 57 minutes into the movie where Joel (Carrey), in his memory, watches himself meet with Dr. Howard Mierzwiak (Tom Wilkinson) earlier that day. The camera shows Joel observing, then pans over to the desk where the doctor and the other Joel are sitting, then pans back to the first Joel again. No digital trickery here: Gondry had Jim Carrey run back and forth behind the camera, quickly donning and doffing his hat and coat to play the different versions of himself. 5. MEMENTO MADE KAUFMAN NERVOUS. 6. IN THE SCRIPT, THE LACUNA OFFICE WAS IN THE SAME BUILDING AS THE ONE IN BEING JOHN MALKOVICH. 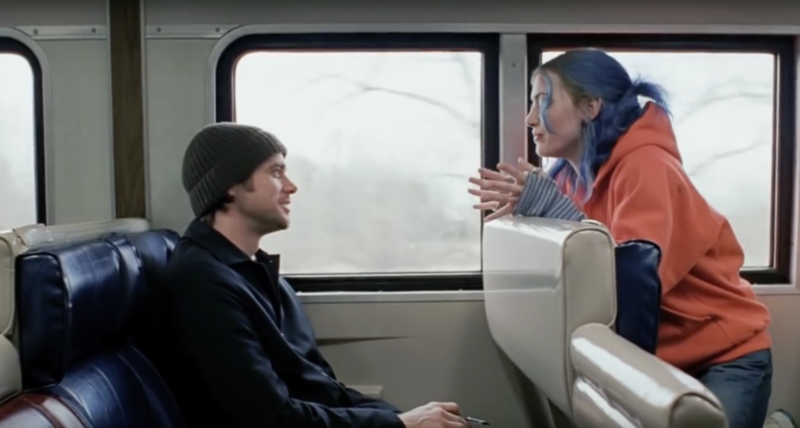 Kaufman added that detail “for fun, for myself.” But it turned out to be unfeasible to use the same building for Eternal Sunshine of the Spotless Mind, so it didn’t pan out. 7. THE SCREENPLAY ORIGINALLY BEGAN 50 YEARS IN THE FUTURE. It began with an old woman—later revealed to be Mary, Kirsten Dunst’s character—trying to publish a manuscript called Eternal Sunshine of the Spotless Mind, implied to be a tell-all about Lacuna. At the end of the screenplay, we discover that Mary is still working for Howard (who’s very, very old), and that Clementine has had Joel erased from her memory at least 15 times over the decades. 8. 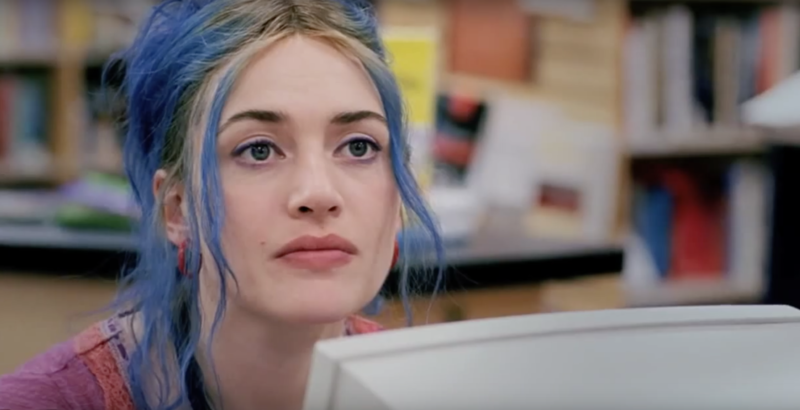 CLEMENTINE’S DIFFERENT HAIR COLORS WERE ACHIEVED THROUGH WIGS, NOT DYEING. 9. GONDRY APPROACHED NICOLAS CAGE TO PLAY THE LEAD. 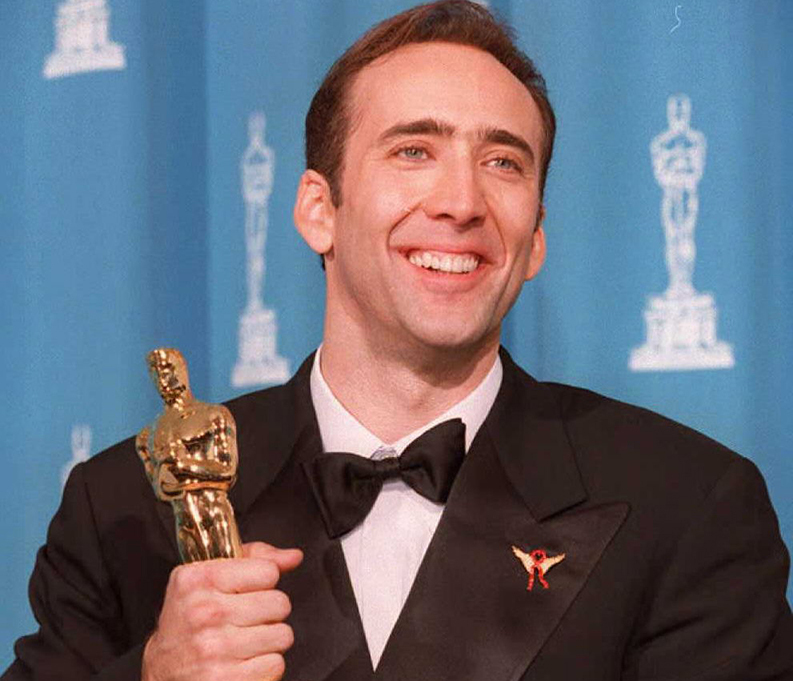 As Gondry put it, “Every independent director who wanted to make a commercial movie asked Nicolas Cage to be in their movie after Leaving Las Vegas, except he would only do one out of 10 of those projects.” It’s sobering to realize there was a time when Nicolas Cage was selective. 10. WE GOT TO MEET JOEL’S EX-GIRLFRIEND NAOMI IN A DELETED SCENE. Joel makes several references to his ex, Naomi, the one he was living with when he met Clementine. He even considers getting back together with her. We never see her in the finished movie, but the character was in a few scenes in the original version (including a post-breakup hook-up). And her voice, provided by Ellen Pompeo, is heard over the phone in a deleted scene. 11. GONDRY DIDN’T REALIZE HOW REALISTIC HIS MOVIE WAS UNTIL HIS GIRLFRIEND LEFT HIM. 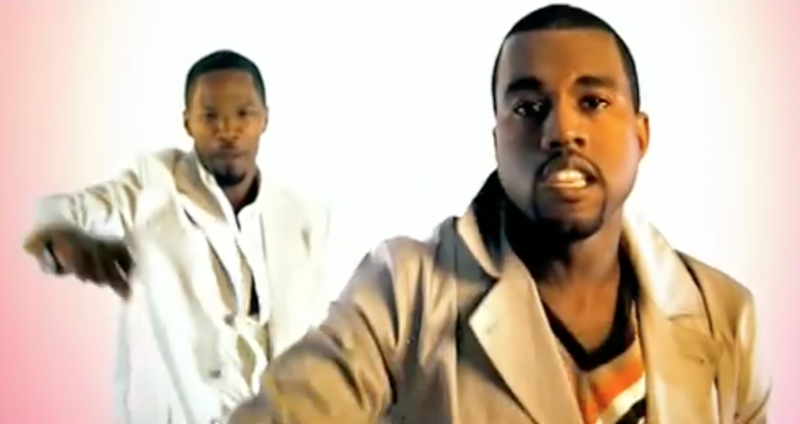 Composer Jon Brion had never done anything in the hip-hop world until Kanye West, impressed by his Eternal Sunshine score, asked him to collaborate. They had the basics of “Gold Digger” laid down after the first day. 13. EVERYONE WAS ENCOURAGED TO IMPROVISE—EVERYONE EXCEPT JIM CARREY. 14. THEY MADE IT LOOK LIKE THE TIDE WAS COMING IN TO THE BEACH HOUSE AT THE END BY BUILDING A HOUSE ON THE BEACH AND LETTING THE TIDE COME IN. Sometimes the simplest explanations are the right ones. Most of the film’s effects are practical, not digital, and that was true of the rising water in the beach house, too. 15. IT MIGHT NOT BE FICTION MUCH LONGER. In 2014, scientists reported that they’d successfully manipulated mice’s memories, or at least the emotions associated with those memories. See, we form the informational part of our memories—the facts and events—in the hippocampus neighborhood of the brain. The emotions connected to them—how we feel about those facts and events—are stored down the road in the amygdala. Scientists messed with some mice’s amygdalae and basically reversed how they “felt” about prior lab experiences, changing an unpleasant association into a pleasant one, and vice versa. The scientists were quick to point out that while this could be useful in erasing a person’s negative emotions about something in their past (for PTSD sufferers, for example), it would be a bad idea to actually make them forget that these events had happened. Which means they must have gotten the message of Eternal Sunshine of the Spotless Mind.